Meatless Monday… Have you heard of it? Have you tried it? Maybe you don’t understand why you would. Maybe you’ve tried it and it’s been difficult to stick with. Well I’m here to help! Since becoming a vegetarian I’ve learned a lot about cutting meat from your diet! I know not everyone wants to go full vegetarian (I mean… bacon!) but I know that many people want to cut down how much meat they eat, and add extra veggies into their diets. Meatless Monday is the perfect way to do that! It’s a great balance for eating meat the rest of the week by setting aside one day for a veggie feast! Why go meatless?- The first question most people ask about Meatless Monday is why would I want to go meat free one day of the week. Well there are several answers! First is for your health! Studies show that diets with less meat and more fruits and veggies lower your risk of chronic disease. Cutting meat out and upping your vegetable intake even once a week can help reduce your risk for heart disease, diabetes and even cancer! Second is the environment. The majority of our agricultural land is dedicated to growing livestock, or food for livestock. The meat industry uses a ton of land and water. By cutting down just a little we can lower the amount of resources needed to produce meat! Third is for your budget! Meat is expensive! Now I don’t know about you but with 2 teenage boys in my house when I cook dinner it needs to be a lot of food! When you swap out vegetable based protein for meat you get a filling meal for a fraction of the cost. One of the best ways to save money in your weekly food budget is by making one of your meals meat free! Ok, ok, so it sounds like a good idea, what in the world am I supposed to cook?? 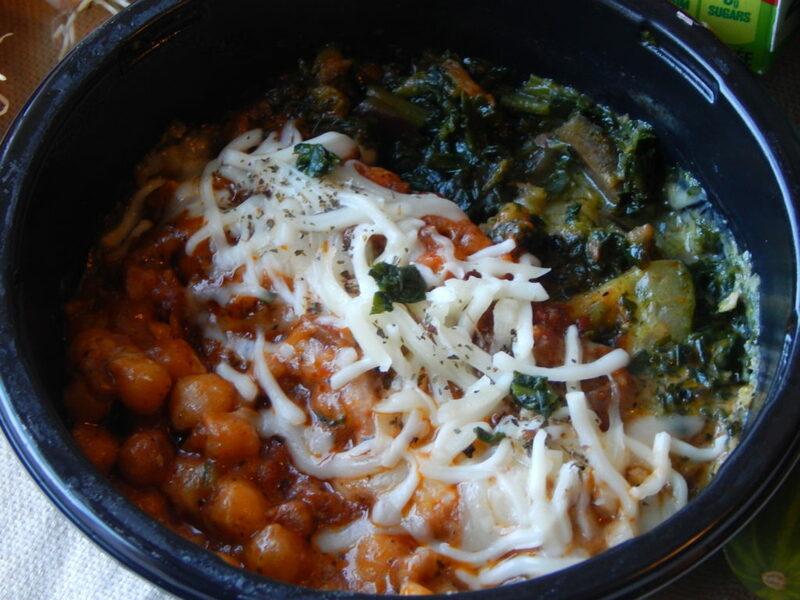 Meals without meat– Take a look at your favorite foods. Can they be served without meat? One of the easiest ways to go meatless is by tweaking what you already eat. Maybe a pasta dish with extra veggie instead of meat, vegetarian lasagna anyone? How about a hearty stir fry loaded with your favorite vegetables, rice, and an awesome sauce? Omelets are a great protein rich meal, add in some cheese and chopped peppers and onions for a delicious dinner! There are a lot of recipes that don’t require meat, that you can eliminate the meat you’d throw in and replace it with more vegetables, for a quick and easy meal! Meat Substitutes & Swap outs– Maybe you’d rather not skip the meat but substitute it out for a veggie protein instead. Some of my favorites are lentils, quinoa, and beans! You can use lentils in place of ground beef in most recipes, they are higher in protein and chock full of fiber. Beans are awesome in burgers, chili, soups or on top of salads. Quinoa is another awesome vegetarian option, high in fiber and full of protein. You can use it in patties, as an addition to pasta and rice dishes, or even fill your tacos with it! If you’re feeling really brave you might want to try tofu crumbled or marinated in to grill throw in your favorite dish. If you’re really struggling with finding something you like another great idea is to find a vegetarian version of something you enjoy. There are a lot of high quality veggie burgers, even veggie “chicken” patties. 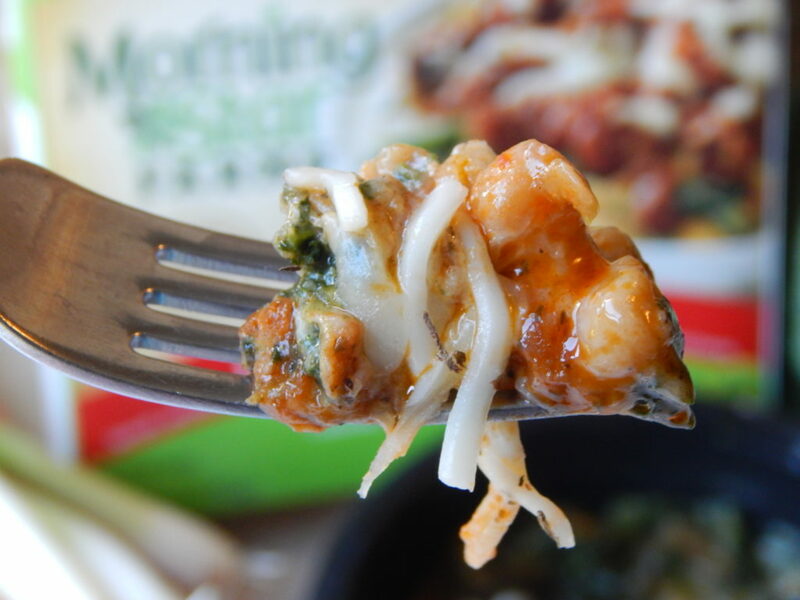 One of our favorites is MorningStar Veggie Bowls. 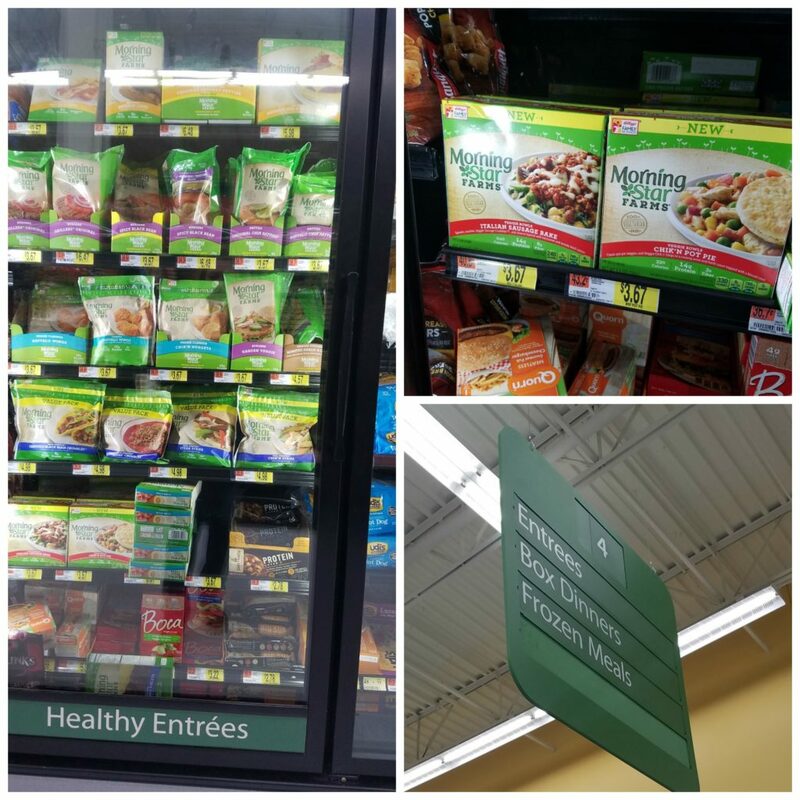 These bowls are easy to find at your local Walmart, and come in amazing combinations like Chik’n Pot Pie, Chik’n Tikka Masala, Italian Sausage Bake, Japanese Soba Noodles and Moroccan Medley. If you’re a little hesitant about cooking vegetarian meals on your own these are a great go-to to get you started! These hearty bowls are so full of flavor, you’ll never miss the meat! The Italian sausage bake has all the flavor of your favorite sausage, loaded with tomato sauce and cheese, perfect for a quick and easy meatless meal! Getting your family on board– Maybe you’ve tried meatless Monday but you’re family isn’t happy with the idea. Maybe your husband is a carnivore or your kids are super picky. So how do you get them to cooperate? First make it clear that it’s only one night a week. Ask them to give it a month to see how everyone feels about it. Let them help with the meal planning and cooking. Offer up a few choices that sound good and let them pick the one that sounds the best. Tweak the recipe for your kids if you need to. For example I have a white bean hummus grilled cheese sandwich that I make, for my little one I just make a plain grilled cheese. Try making casseroles or stews that are hearty and full of ingredients so that they don’t miss the meat! Let them pick out a MorningStar Farms Veggie Bowl they’d like to try, and keep a few favorites on hand so that if what you’ve made doesn’t suit everybody you’ve got a back up plan. Ask everyone to keep an open mind, don’t give up if a recipe doesn’t turn out the way you planned, keep trying until you find dishes you love! 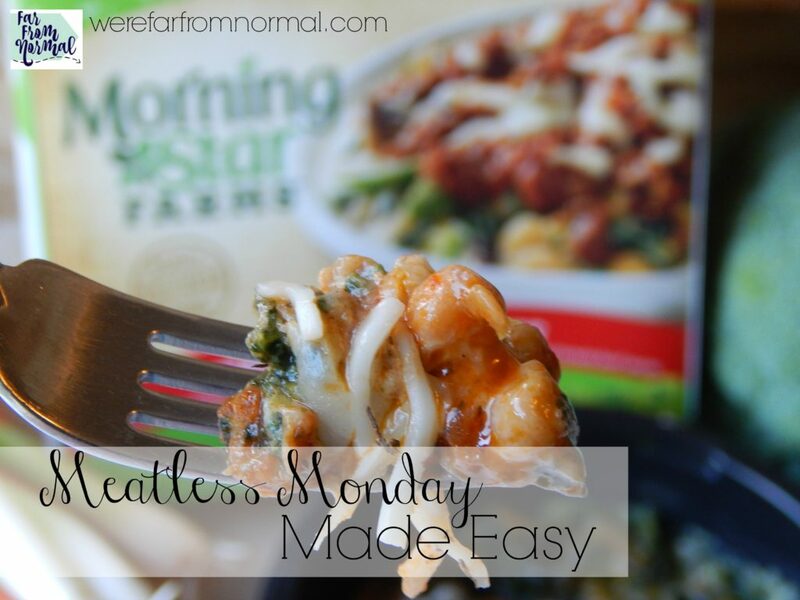 With a little practice and a little trial you can make meatless Monday a success in your home! 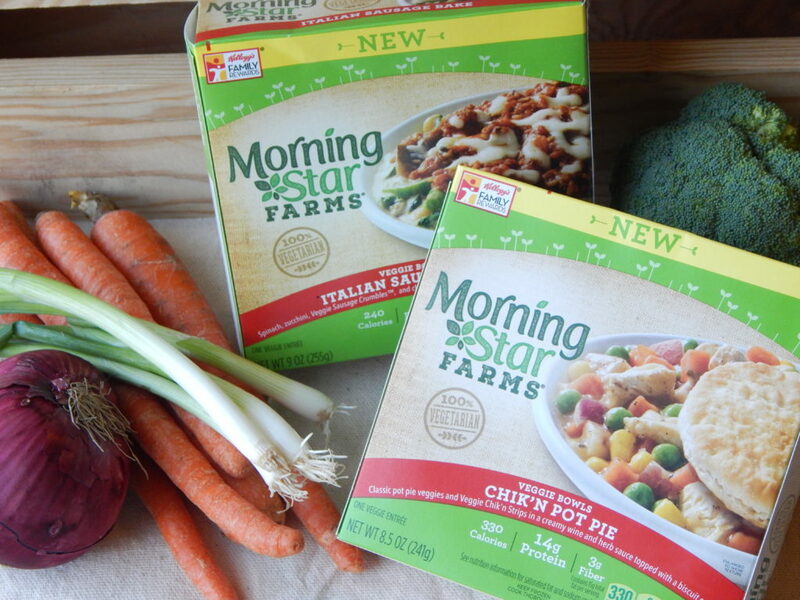 You’ll enjoy the benefits of more veggies in your diet, a lower food budget, and the delicious tastes with meals like MorningStar Farms Veggie Bowls and that you’ll discover experimenting with new ingredients and flavor combinations! Have you ever tried meatless Monday? What tip would you add?